I don’t know about you but sometimes meal times in our house have to be a really quick affair. There can be a spate of school meetings etc that all seem to occur bang in the middle of dinner time so a quick solution is needed! This is when I reach into the fridge for a box of eggs and make something like this Veggie Frittata from British Lion Eggs. With just a few minutes of preparation you can have a really tasty and healthy meal in no time at all so it really is a win/win situation. 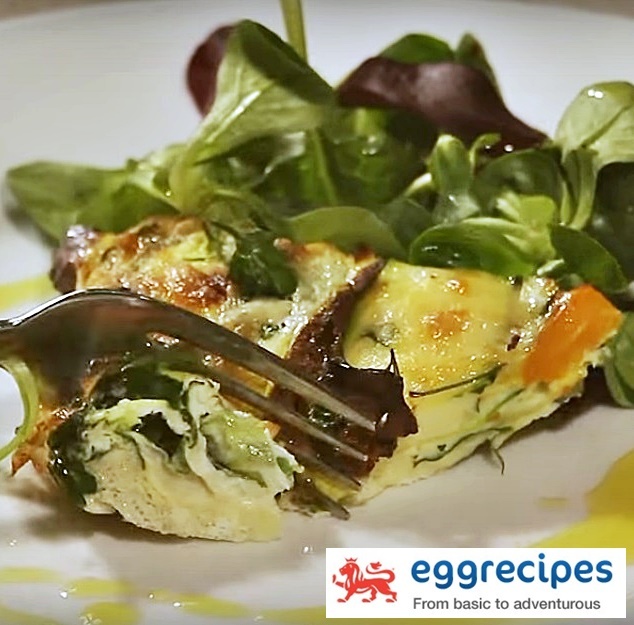 Do watch the video below (part of a series) and even if you don’t have all the ingredients, just improvise with what you have, Fritattas are so adaptable! Eggs are a great source of protein, vitamins and minerals and will help to keep you feeling fuller for longer! Remember that old ad “Go to work on an egg” – younger readers, ask your parents:-) So eggs are pretty much the perfect food food in my eyes as they not only taste great on their own but are also incredibly versatile when combined with other ingredients. Saturday lunchtimes have become a traditional time for a quick and nutritious egg based dish such as my Easy Cheesy Courgette Omelette or my Quick Poached Egg and Garlic Spinach Bagel in my house. The whole family love eggs and I love finding new ways of incorporating them into our meals. Did you know that British Lion Eggs’ producers have to follow a stringent Code of Practice which ensures the highest standards of food safety and animal welfare? So make sure when you’re buying eggs to look out for the British Lion Quality mark on the box! 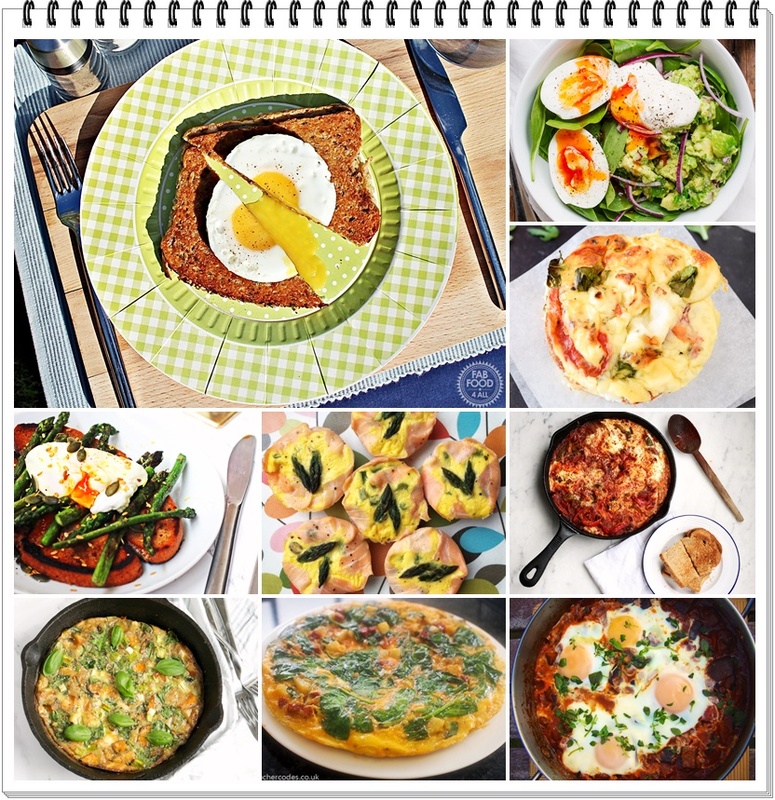 If the Veggie Frittata has whet your appetite for more then you can follow British Lion Eggs on Instagram and Pinterest. NB: This is a commissioned post for British Lion Eggs and all opinions are my own. Video courtesy of British Lion Eggs. Previous Post: « Cherry Jam – simple and delicious! Love a frittata. We’re trying to eat more eggs this year because they’re so good for you and easy to cook! This looks delicious. I must give this recipe a try. That looks good! And so much easier than trying to make sure an omlette’s cooked through! Eggs are always our go-to for a quick and healthy meal. We love fritattas too, as there is so much that you can do with them.